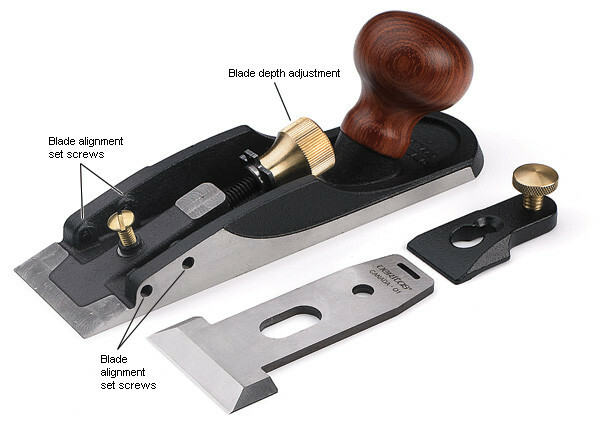 Commonly called a chisel plane, this 165 mm (6-1/2 inch) long by 44 mm (1-3/4) inch wide plane has an exposed full-width blade that lets you work up to adjacent surfaces. 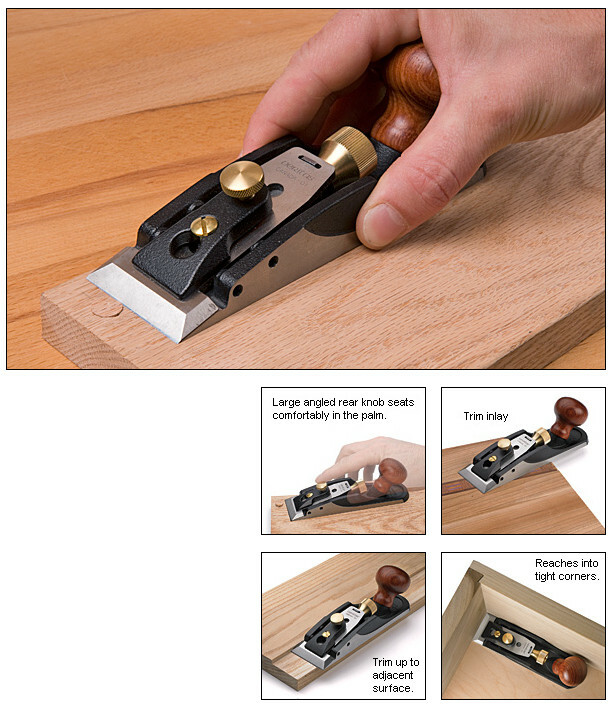 It excels at making paring cuts in places where a chisel would be awkward or impossible to use, making short work of cleaning up corners and joints inside carcasses. 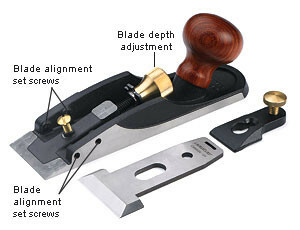 Four set screws accurately register the blade in the body, and it has a large thumb wheel for depth adjustment. 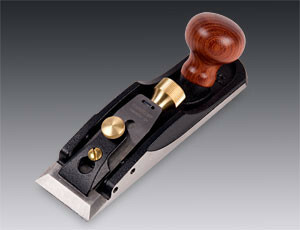 Comes with a lapped O1 steel blade hardened to Rc 58-60. The 20° bevel blade coupled with the 15° bed angle yields an effective cutting angle of 35°, severing end-grain fibers cleanly and minimizing tearing. Weighs 540 g.